Since launching the PhD Blog, I have been blown away by the level of interest in epistemology, ontology and methodology. As the Blog approaches its 200,000th hit, this one topic has generated lots of comments and questions. In response, I have been working on a better way to explain the relationship between these elusive terms. 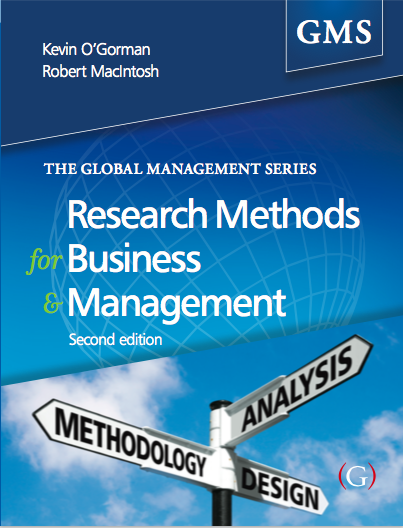 The result is the Methods Map which features in the 2nd Edition of Research Methods for Business and Management which comes out in September 2015. 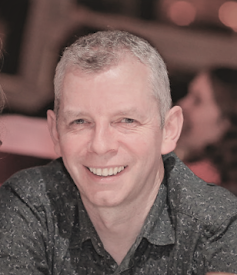 As a thank you to the many thousands of you who have visited the PhD Blog, subscribed or asked a question I am delighted offer you a free chapter covering the 'ologies using the Methods Map. Download it, read it and feel free to share it. I'd also be delighted to hear any comments that you may have on whether you found it useful in clarifying the nuances and intricacies of research design. Happy reading and thanks for your continued interest in research methods. Good luck with your studies. 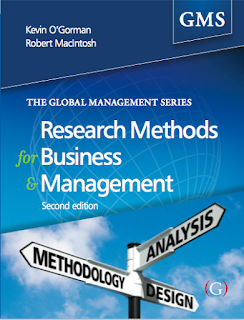 Download a free chapter on Mapping Research Methods. The book itself is available as a whole or on a chapter by chapter basis from direct from the publisher's website. Have a look at the free chapter and the contents page therein ... if any of it appeals to you click through to the publisher website here. Glad you like it Haitham ... please feel free to pass the link on to anyone else who might find it useful.